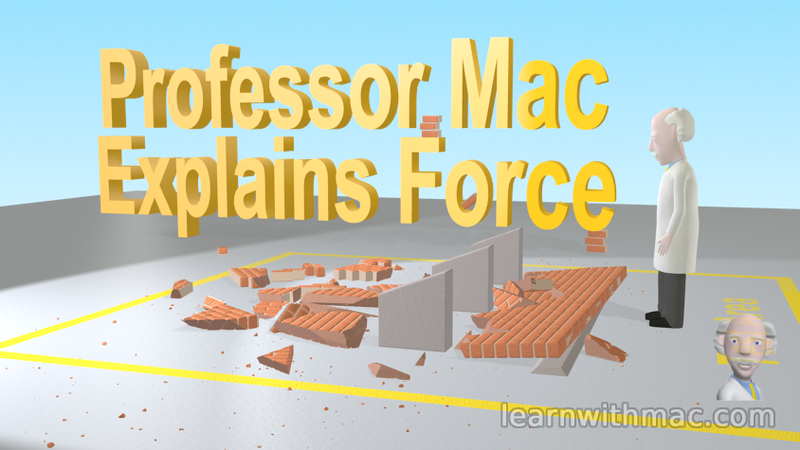 I have been working on creating a suitable intro sequence for my video on Force. After a few attempts at slow motion I decided the best solution would be a dramatic real-time view of the wall from the rear as it exploded during impact with some stationary objects (these are the dark grey angular objects in the picture above). I then added a nice sequence as the camera pulls back to reveal the text of the title of the video. I played around with a few different colours for the text. I like red but it is very vibrant against the blue background so decided on this yellow golden colour. I found the best colour effect was obtained by flooding the text with a bright yellow light and leaving the base colour of the text as a soft white. I had to group some of the lights to only act on the text in order to avoid the yellow light affecting the main scene. I also added some bricks in the background with the text to give a sense of scale. Overall I’m pleased with the effect. What do you think? Previous story What happened to this wall?